Books can be a great way to help kids learn about and develop different skills. 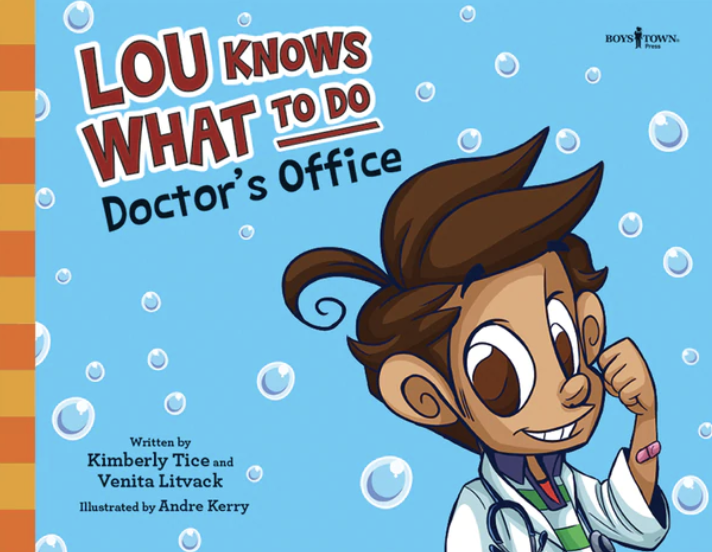 Boys Town Press aims to help readers learn about a wide variety of skills, and I recently had a chance to review several books that focus on learning how to deal with certain situations. 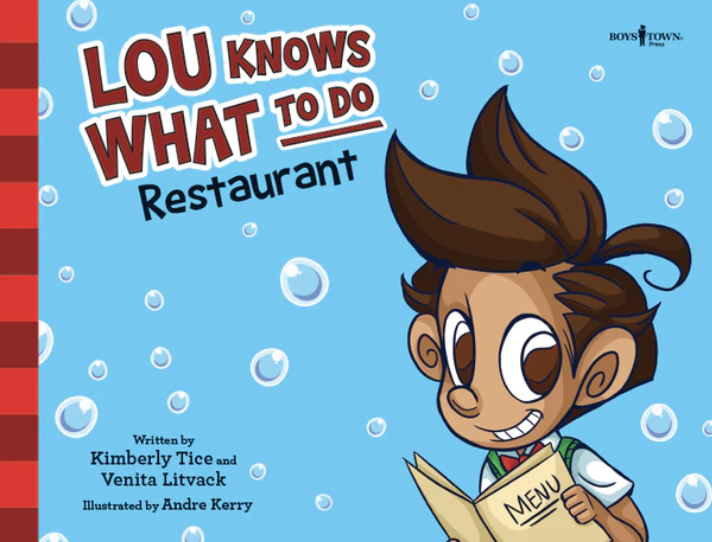 Lou Knows What to Do: Doctor’s Office, and Lou Knows What to Do: Restaurantby Kimberly Tice and Venita Litvak follows the lovable Lou (who is on the autism spectrum), as he tackles new situations (such as going to the doctor’s office and going to a restaurant) with his special bubble wand to help him face challenges. 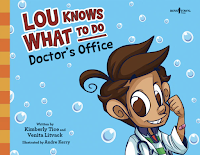 The Lou Knows What to Do series can be great for kids on the autism spectrum, as well as kids who struggle with new and unfamiliar situations due to shyness, processing disorders, or a variety of other traits. I had a chance to interview the author to learn more. 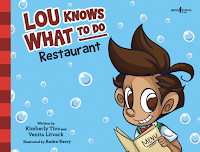 Why did you create the Lou Knows What to Do series? Both of us were working in a charter school for children with autism where speech therapists facilitated many whole group language groups. We were constantly writing our own social stories and looking for high quality literature to use in these groups. We noticed a real lack of literature for children with autism. Not many stories had characters with autism or social instruction to help build functional skills. How can story books help kids learn about social interactions? Children can learn so much from books! Everyone can! Our stories focus on describing the setting so children know what to expect in real life when they attend a birthday party or go to a supermarket. Just knowing what events will take place and understanding the setting tends to reduce anxiety beforehand. That automatically leads to more positive interactions. We also provide suggested behaviors and explain social customs. For example, we teach saying “Happy Birthday” to the guest of honor in our birthday party book. In LKWTD:Restaurant, we suggest things people can do to pass time while waiting for food at their table. How can parents extend the learning from the books? We include tips and guidelines along with comprehension questions for caregivers to use at the end of each book. Parents can use the comprehension questions to assess their child’s understanding. They can also engage in pretend play to practice various social scenarios. Frequent community outings are also recommended to help children function in real life social scenarios. These books are excellent for home libraries and also great for classroom and school libraries as well.